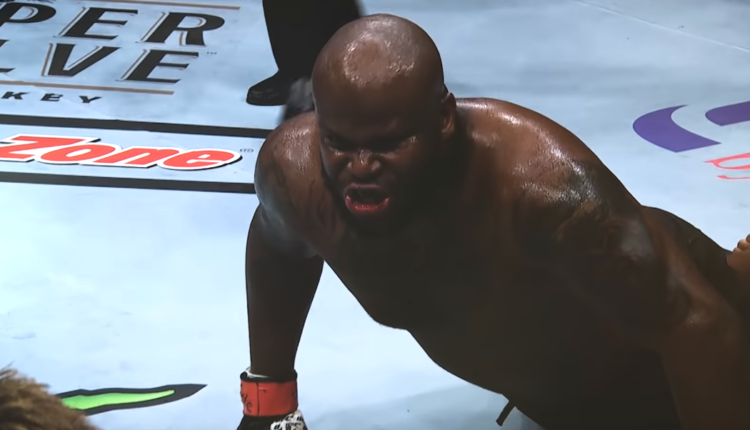 Derrick Lewis is preparing to main event Madison Square Garden and a UFC Pay-Per-View for the first time in his career on Saturday night, as he faces Daniel Cormier for the UFC heavyweight title. Walking in against a 7-1 favorite, Lewis feels that Cormier is taking him a bit lightly, and took a fight with him over facing Jon Jones. “The reason I think he took the fight with me is because Jon Jones was already fighting in (December),” Lewis said of Cormier after a workout at Madison Square Garden in New York. “He didn’t want to wait until January and hear all the media talk about, ‘Why is Cormier not fighting for the 205 belt?’ They’re already saying he’s basically scared to fight Jones right now, anyway. He feels like it would be perfect to fight a guy like me that don’t have as much skills on short notice before the Jones fight and he thinks it’s going to be an easy fight for him. Whatever the reason he’s in the main event, Lewis wants Cormier’s head in the right place, because he’s focused on taking the title.